SBS Food and Screen Territory to bring Australians a taste of Delicious Darwin with new series. An eight part series exploring Darwin's diverse food scene, and hosted by Chinese-Sri Lankan Territorian chef Jimmy Shu, has been awarded funding as part of an initiative from the Northern Territory government, Screen Territory and SBS. The eight-part series Delicious Darwin will explore Darwin's incredibly diverse food offering, taking in the sights, smells, breathtaking landscapes and stories of the Top End's most celebrated and hidden food spots, while showcasing the kaleidoscope of culture and personal stories of the people who live there. 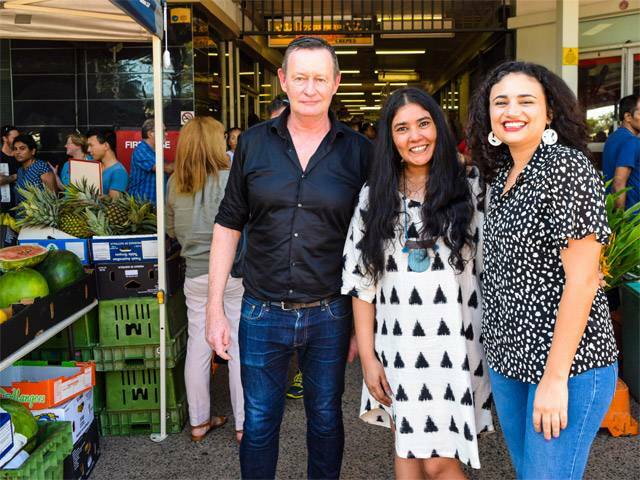 The co-funded initiative provides an opportunity for the successful production team, 360 Degree Films and Indigo Productions, to create a series which showcases the diversity of produce and distinctly global flavour of Darwin's food scene. Chris Keely, General Manager SBS Food & Subscription Television said, "SBS Food allows all Australians to explore the world through cuisine and we're really excited about partnering with Screen Territory on this initiative that brings together talent from across the Northern Territory to showcase the culinary delights of one of Australia's most multicultural cities. "The quality of the submissions we received was outstanding and prove that there are a lot of stories and lot of passion for food, but Delicious Darwin has something really special, bringing the multicultural food scene of Darwin to life. We can't wait for the series to tantalise the tastebuds of our viewers later this year." Jennie Hughes, Director, Screen Territory said, "Chris Keely and I spoke about this great initiative at the beginning of my tenure at Screen Territory and I'm absolutely thrilled that it has now come to fruition. We are not only strengthening our relationship with SBS but also providing an opportunity for one of our talented production teams to showcase their work and to promote the diversity of cultures through food that are part of Darwin and the Top End's multicultural community." Delicious Darwin will air later this year on SBS Food, SBS's free dedicated 24/7 food channel, bringing Australians a wide range of home-grown and international programs, focusing on premium Australian content while exploring the world through cooking, cuisine and culinary cultures.